As days are speedily approaching its final titanic battle, captains in one ship are clamouring to have full control of the vessel to drive it either to the promise land or its total destructive collapse. Both captain and sailor are not leaving any stone untoned, only one with peoples mandate prevails. Over 57th years Nigeria existence, her enormous chances to affect peoples life positively becomes a mirage only to come at end of the show shouting Change which resulted in a chain in the real sense of it. Recycling of political power among the bourgeoisie and dynastical system overwhelmed the political terrain to equate contemporary democracy to have the light of the day. Nigeria’s failure to meet up her responsibilities and dissatisfaction of masses to continue to condole discrepancy triggers uprising/agitations in various parts of her environment, her captains are being seen as pilots of sinking ship. Mass exodus in the sinking ship for alternative speed moving train becomes an option and last hope for common man. Inculcation of political socialization and its historical background was sinking into the conscious of Biafrans, spearheaded by learned sailor; gradually it automatically becomes an ideology that cannot be defeated with guns and bullets. Whereas, political juggernauts were busy exchanging hands of hard currencies for themselves and its families, a good sailor, on the other hand, working acidulously paving his ways to his people’s freedom and stand by it in all circumstances. Within a twinkle of an eye, rubber stamp political heavyweights become politically irrelevant in the society. They left with no other option than smartly convert any slight avenue a political campaign ground hence, their irrelevant makes it impossible to converge electorates in a particular venue to sing the same unfulfilled political rhetoric. Someone on his ascension said, “at his age, he has no reason to identify himself a Nigerian, all he knew he is alive working for himself as a person, not as a countryman”. Choice of light (Referendum) and darkness (Election) becomes paramount to take a decision, as nature itself makes one be born free before man single-handedly destroys perfect creation. The ballot of life and dead remains a choice, already Biafrans beet their chest to boycott 2019 Nigeria election for Biafra referendum. Those thinking to vote is the solution of their predicaments should endeavour to rethink if their political participation over makes any different over the years of voting, Buhari, Jubrin and Atiku Abubakar are birth of the same feather with the same Fulani hegemony conquer by force methodology. Pathetic, gullible myopic Biafrans more especially Anamberians trying to articulate themselves in the next year 2019 general election because of their Son Peter Obi who happens to be a murderer of MASSOB Biafran members and dumped them at Ezu River during his tenure as a governor of the state. Unfortunately, few of them are incapable of drawing their memory back only interested seeing their perfect slave son in the power without knowing Obi is a conductor while Atiku is the captain driven the sinking ship to obliteration should he eventually emerge a winner. Civil disobedience a driven force for Biafra agitation pushes Nigeria to her downfall, jittery of election boycott order throws political jobbers into a state of dismayed. They take advantage of churches as the best option of political leverage and campaign arena after political handshake men of God become more politicized than the gospel itself perhaps, banned IPOB evangelical referendum in the same political church campaign ground built by Biafran members meaning churches are directly taking advantages of its member’s servitude and slavery. Only Biafra restoration can put to hold of this mess. Religion and politics, a two-way traffic that controls one's mindset and destiny, the existence of both in Nigeria polity since her creation has not given peoples life a meaning not necessarily because the two spheres are incompatible and inconsequential but the captains piloting the ship are irresponsible managing the exceptional responsibilities. In as much as priests mortgage the gospel in exchange of political favour, members still believe every spoken word from men of God is the mind of God, making members live an unending miserable life beyond imagination unlike, their counterparts in the Western world. It sounds stupid and inconceivable ordinary few Fulani cattle herders having full control of intelligent millions of Biafrans destiny, the world itself may not extensively be blamed for keeping mute seems Biafrans have all it takes to free themselves as a people. It’s suicidal IPOB as the only last hope and mouthpiece for suppressing Biafrans, to allows Nigeria conduct her already rigged fraudulent next year election before long-awaited Biafra referendum. The zeal and morale Biafrans have may drop to the logical point should Biafrans only boycott the election and sit back watching a selection of favourable candidates to still have control of their destiny after successful sit at home as it happens in last Anambra gubernatorial election. 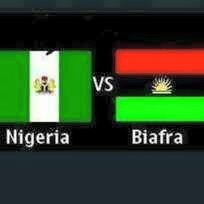 It’s far better Biafra referendum is conducted and hell let loose probably, roundtable diplomatic discussion may be the possible solution to end Biafra/ Nigeria dichotomy.